Smoothies are one of my favorite things to eat in the morning. I normally have a cup of coffee followed by a smoothie. I make them big enough to get each of the girls one and a snack for myself later in the day. I drink most of my fruit now. I've been collecting smoothie recipes like crazy since I got my Blendtec Designer 725 . It has changed the way I make everything. 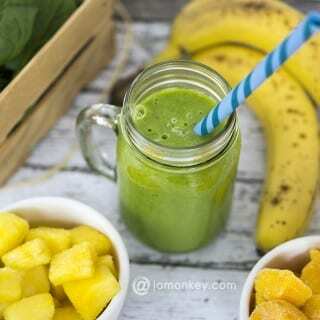 My favorite smoothie is a simple Green smoothie and my kids agree, we could eat them every day. You can find the recipe below. 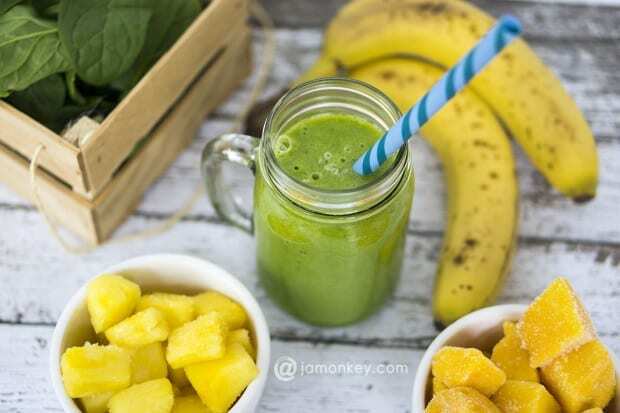 Here are a few smoothies I'm dying to try. Some are just so pretty you wouldn't want to drink them. I always try to keep a collection of frozen fruit on hand. I like my smoothies super cold so I will measure all of my ingredients out into bags, label them and place them into the freezer. Then I can just add those with the leafy greens and liquid when I'm ready to blend. 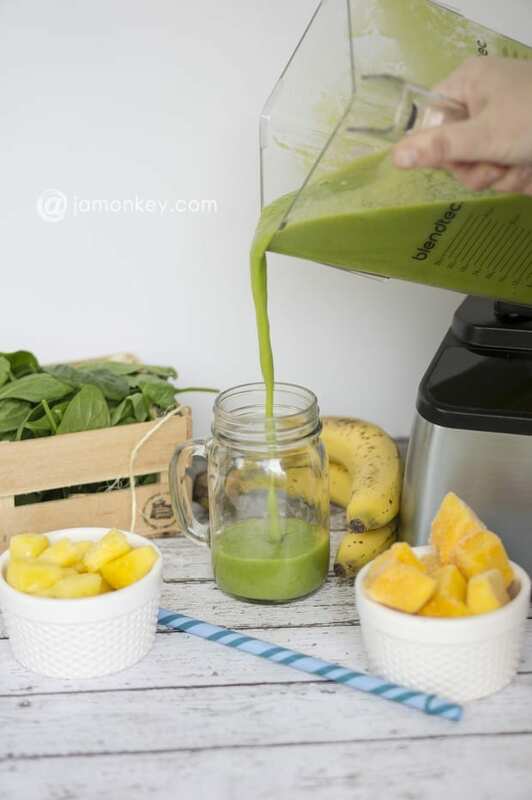 This super simple green smoothie is our favorite. If you can't like leafy greens then you'll love this because you can't taste them at all. It makes enough for two servings. I normally put them into two kids cups, my own cup and a cup for an afternoon snack. My kids think it's a special treat. 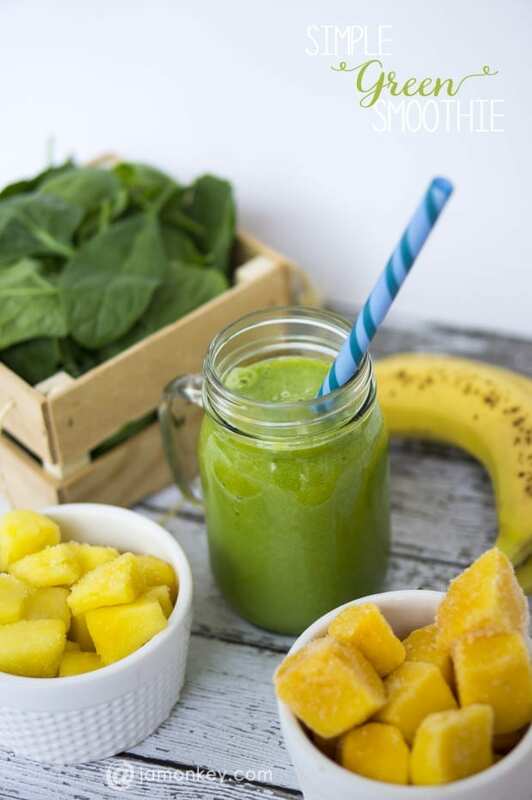 If you don't have a powerful blender blend the water and spinach first. Then add in the remainder of the fruit. If you want your smoothie nice and cold, make sure at least one of the fruits is frozen. I’ve never really done smoothies, but I do need some new breakfast and snack ideas. I want to try it! Chase finally got me a blender this summer, and it’s seen a LOT of action. I need to get more green smoothies going for all the nutrients!